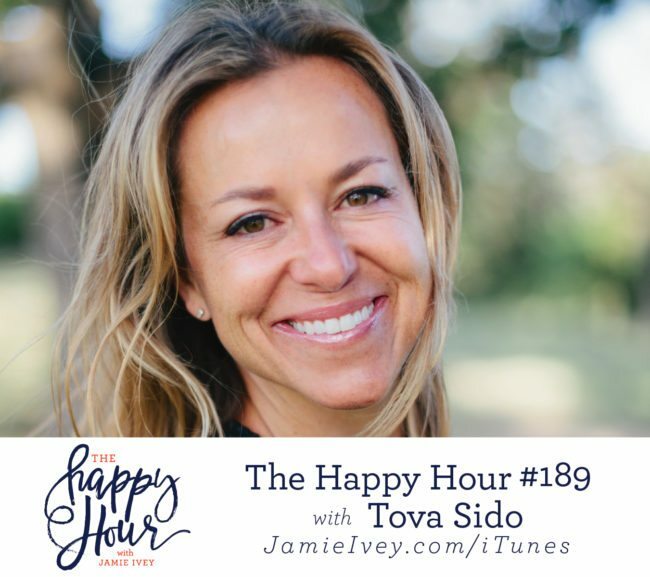 My guest for The Happy Hour # 189 is Tova Sido. Tova is a Jesus lover, author, speaker, and mom who lives in Dallas. Tova is passionate about helping others see God's incredible healing power for their lives and encourage them to become the people God created them to be. When asked what Tova wanted to be when she grew up, she always knew her answer: Mom. On today's show, Tova shares her story of becoming mom to six children - three children who are in heaven, and three children she adopted from Ghana. As you can imagine, Tova's story of becoming a mom did not unfold as she expected. Tova talks about the births and losses of her three beautiful children and when it seemed the sadness would overwhelm her. Tova speaks honestly about how she felt isolated - she wasn't sure how to interact with the world, and the world didn't know how to interact with her. But, an unexpected job offer at the end of what she thought was simply a counseling session with her pastor, started her on a path to regaining her joy. At the end of our conversation, we hear how a mission trip to Ghana became the starting point for how Tova brought home three of her children. You guys, listening to Tova's story today was such an encouragement when we feel like we just can't make it through. Tova tells us "If you allow it, the joy will always supersede the pain", and with the Lord it will truly be a peace and joy that surpasses all understanding. Happy Hour Live! - Last Chance for tickets is this Friday, April 20! 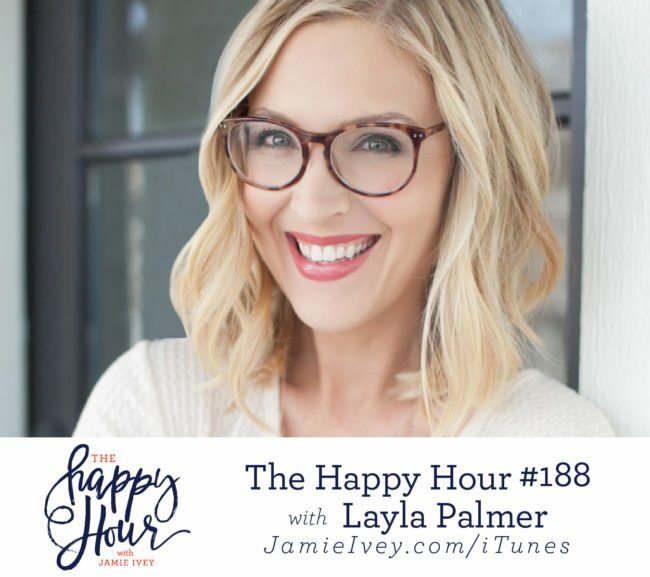 My guest for The Happy Hour # 188 is Layla Palmer. Layla is a storyteller/photographer whose passion is sharing home and lifestyle inspiration. She is a contributor for HGTV.com, and her home and work have been featured in numerous publications including HGTV Magazine, Better Homes & Gardens, and Good Housekeeping. Layla starts out the show telling us how in efforts not to fall for her now husband Kevin while they were working together, she kept herself quietly busy in a corner painting pictures of cartoon cats (yes, you read that right). After they got married, Kevin started passionately seeking Jesus, and she talks about how watching him simply being a child of God made her take notice. I love her story of the moment she felt changed everything when in the darkest season of their marriage, she and Kevin encountered Jesus in the drive-thru of a Krystal Burger. Layla and I both have adopted children from Haiti, and at the end of the show we talk about some of the challenges we've seen our children face - including wanting them to recognize their preciousness and the difficulty in establishing that feeling of permanence for them. I loved my conversation with Layla and also love following her on Instagram - her intention of educating, entertaining, and encouraging comes through all of her stories and posts. And speaking of Instagram, come find me @JamieIvey! I've partnered with Starfish Project to host a contest that will begin April 12 where five winners will receive a signed copy of If You Only Knew and $100 gift certificate to Starfish Project! 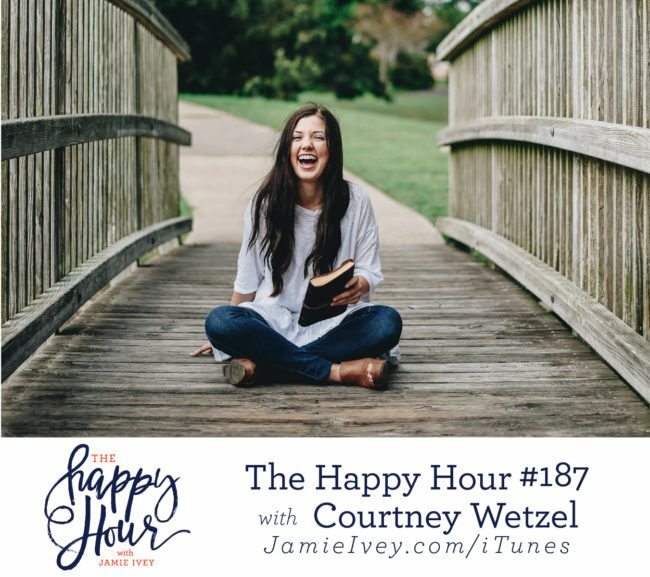 My guest for The Happy Hour # 187 is Courtney Wetzel. Courtney is a senior at Texas A&M University and believes in empowering, equipping and encouraging individuals even in the mundane. Through her gift of storytelling, she is able to empathize and rally behind her generation. 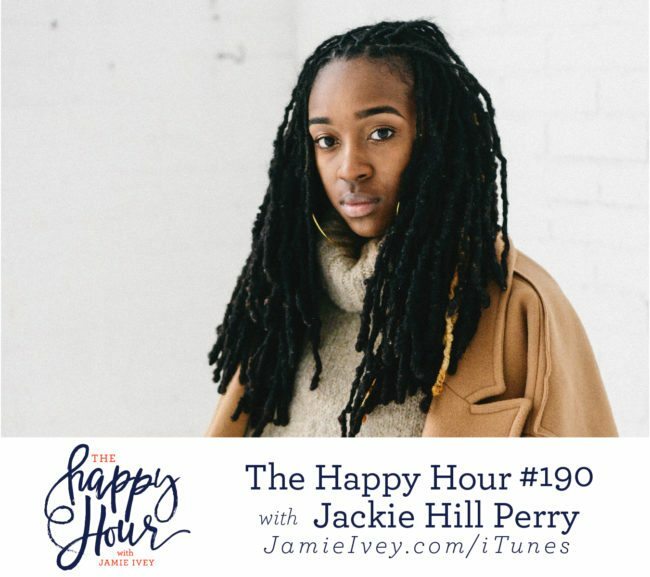 Courtney is the youngest guest I've had so far on the Happy Hour, and I loved our conversation, her energy, and enthusiasm, and I know you will too. Courtney and I talk about her current season of transitioning from college and how important it is for women to cheer each other on. Courtney is speaking my language when she talks about the importance of women saying to each other "I'm on your team". Courtney then shares how she developed the habit of looking for "dimes", or unexpected joys in each day. It started with a writing assignment during a season where it seemed joys would be few. I love how she has committed to finding her "dimes" in each day and that you can always "fight to find what was good about today". At the end of the show, Courtney will prove anyone who has preconceived notions about millenials wrong, because this gal is doing great things to develop community and creativity! But, we also talk about the danger in this age of hustle, and feeling like we need to keep pace with those we see around us instead of remaining grounded in where our true identity lies.